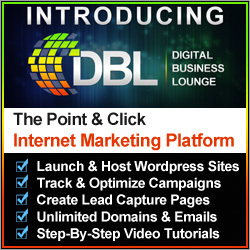 If you are looking for a simple point and click digital marketing platform for your online business then check out Digital Business Lounge. Learn more about this in this article from Mark Ford sharing the powerful features of Digital Business Lounge. Digital Business Lounge is a one stop solution to run all your online businesses from. When you have an internet business there are a lot of elements that need to come together in order for your online business to run smoothly. You have to think about domain names and hosting. Then there is what platform are you going to use to add content to it and which theme will be best suited for your business? How will you install scripts that you need and plugins to add different functions to your website? As an online business owner you may need to create some graphics for your products and services, or create stand alone landing pages and thank you pages. If that was not enough to comprehend you will also need tracking software to monitor the success of all your marketing campaigns. Another thing you need is the capacity to create all those boring but mandatory legal pages like disclaimers, privacy policies and terms and conditions. In the past you would have had to use many different third party services to bring all of this together. Not anymore as there is an integrated suite of digital marketing tools in one place. That place is called Digital Business Lounge and it is a simple point and click digital marketing platform where you can run your entire online business empire from. So let’s look at all the features of Digital Business Lounge. Digital Business Lounge – What is Included? Digital Business Lounge offers multiple different WordPress themes for you to choose from. Each one has different features and functionality so you can be sure there will be one to match the look and feel of your online business. So if you are looking to set up a corporate website, or an e-commerce store or you want a simple but elegant theme the Digital Business lounge has you covered. Also in this age where people access information on different devices you will want a theme that is mobile responsive and each one in the portfolio meets that criteria. There are three stand alone marketing tools within your Digital Business Lounge membership. Your Tube Player – Customize any of your YouTube videos to play in different formats. Graphix Creator – Helps you produce stunning 3D graphics for your products. Most people have entered their name and email address to subscribe to a free offer or newsletter. 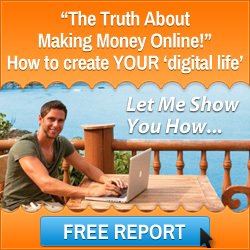 Have you ever wondered how online business owners create these lead capture pages? Well Simple Lead Capture is a premier lead capture page generating software where you can create stunning lead capture pages in just a matter of minutes. You can link them to your favourite auto-responder and then start driving traffic to your opt in pages. 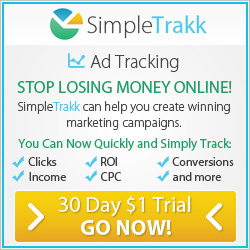 Yes I know it is a funny way to spell track but this is a super cool and simple to use piece of tracking software to monitor all your paid advertising campaigns. You can create funnel tracking, stand alone link tracking and do split testing to see which pages perform the best. If you don’t want to clog up your computers hard drive with all you image files, documents and PDF’s then store them in you very own media library on the Digital Business Lounge server for easy access. WordPress is a very easy to use platform to create professional looking websites. Here you have over 20 tuturial videos so that you can become a WordPress master. If you want to rely on content marketing but you don’t want to do the writing then get professional writers to do it for you. Digital Business Lounge has amassed a professional team of article writers to use. For just a few dollars you can have high quality content produced and delivered to you for your website. This saves you time to concentrate on other income producing activities. Plugins offer lots of different functionality to your website and here you have many different plugins to use. Choose from the Simple Lead Capture plugin so that you can host the lead capture pages you build on your own domain. Then there are lead generation and email opt in plugins as well social media sharing and website theme plugins. Just add your company details into the template generator and hit “Create Templates”. What would have taken you hours to create in the past is now done in literally a few seconds. Then you will have all the legal documentation you need for compliance. So as you can see Digital Business Lounge is all that you need to run a successful internet business empire from. Click on the banner above to open your account. 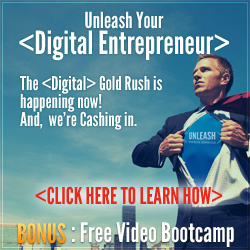 I wish you every success in running your home business from anywhere in the world using Digital Business Lounge as a recommended digital marketing platform. This entry was posted in Digital Marketing and tagged digital business lounge, digital marketing solutions, digital marketing tools, mark ford. Bookmark the permalink.